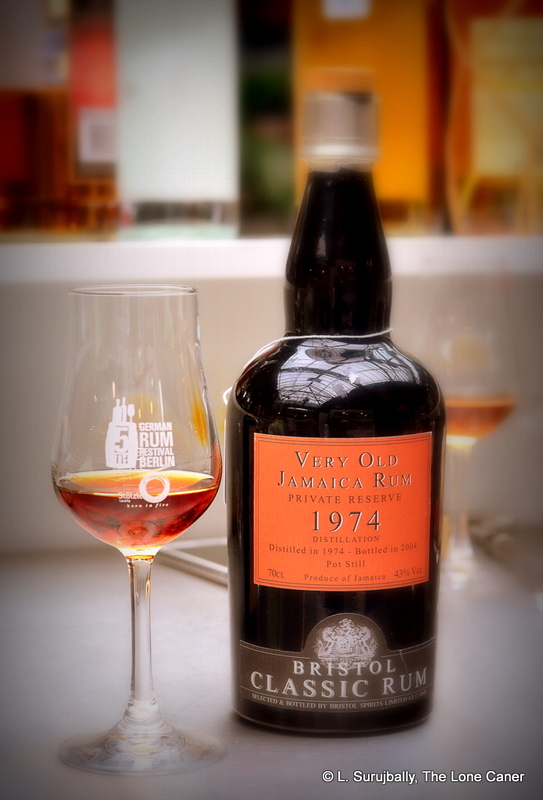 Bottled in 2004 at a lukewarm 43%, Bristol Spirits have somehow transcended the living room strength of this classic 30 year old rum and produced one of the best Jamaicans of its kind. Even under some time pressure, I still had that glass on the go for two full hours, smelling it over and over, tasting it in the tiniest of sips again and again, comparing, retasting, rechecking, making more and more notes, and in the fullproof company of Guyanese and Jamaicans I was trying alongside it, it was a standout of no mean proportions. We simply do not see rums of this kind any longer – we can with some effort get 15-20 year olds, we may be able to source a few rums in their twenties, but when was the last time you were fortunate enough to try a thirty year old rum? Bristol Spirits are no stranger to old stocks, of course. There was the masterful Port Mourant 1980 and that sublime Caroni 1974, to name but two. These days, they’ve sort of settled into a groove with more sober-minded middle-aged rums, and while I would never say that what they produce now is not up to scratch — what they put out the door is both imaginative and interesting — none of them have that aura of gravitas mixed up with a ballsy “looky here!” middle-finger-to-the-establishment braggadocio…or yes, the restrained majesty, which three decades of ageing confers on this rum. Because it was clear that every aspect of that age was wrung out and lovingly extracted from the single originating barrel. No attempt was made to hold a thing back, and this was evident right away on the aroma, which dumbfounded me by being much more complex and even pungent for what – let’s face it – is not the world’s most badass rum strength. It was just so deep. It started out with the richness of burnt leaves and charred canefields after the ritual firing, smouldering in a tropical twilight; caramel, toffee, nutty nougat, almonds, burnt brown sugar, tied together with oak and slightly bitter tannins that did not detract but enhanced. What fruits there were — raisins, prunes, plums for the most part — kept a cool kind of distance which supported the aromas noted above without supplanting them, and around them all was a weird amalgam of melons, squash and citrus zest that I was at a loss to pin down at first…but trust me, it worked. Anyone who loves rums (and not just Jamaicans) would go ape for this thing. The taste was similarly top-notch, and while I would be hard-pressed to tell you the profile screamed “funk” or “dunder” or “Jamaican”, I must also tell you that what was presented had so much to offer that the rum skated past such concerns. It started out with traditional dark caramel, a little glue and warm dark fruit – raisins, black cake, tamarind – and then went for broke. Over two hours it developed tastes of honey, cherries, flowers, charred wood, ashes and hot damp earth after a rain, underlain with a sort of laid back but crisp flavours of green apples, lemon zest and nuts, and finished off with a surprisingly long fade redolent of raspberries and ripe cherries and vanilla. Quite frankly, one of the reasons I kept at it for so long was simply that I found myself more and more impressed with it as time went on: to the very end it never stopped developing. 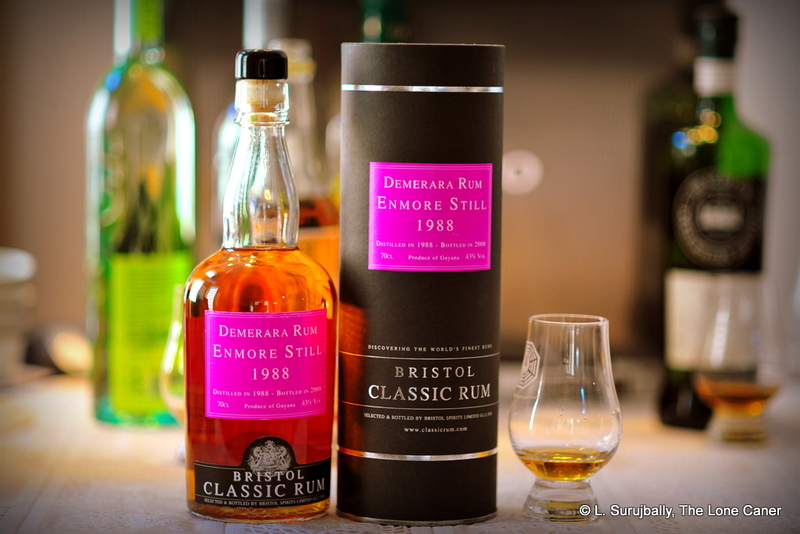 As with many really good rums – and yes, I call this one of them – there’s more to it than simple tasting notes. The mark of a rum / rhum / ron which transcends its provenance and age and goes for something special, is one that either makes one ponder the rumiverse while drinking it, or one that brings up clear associated memories in the mind of the reviewer – to some extent both were the case here. 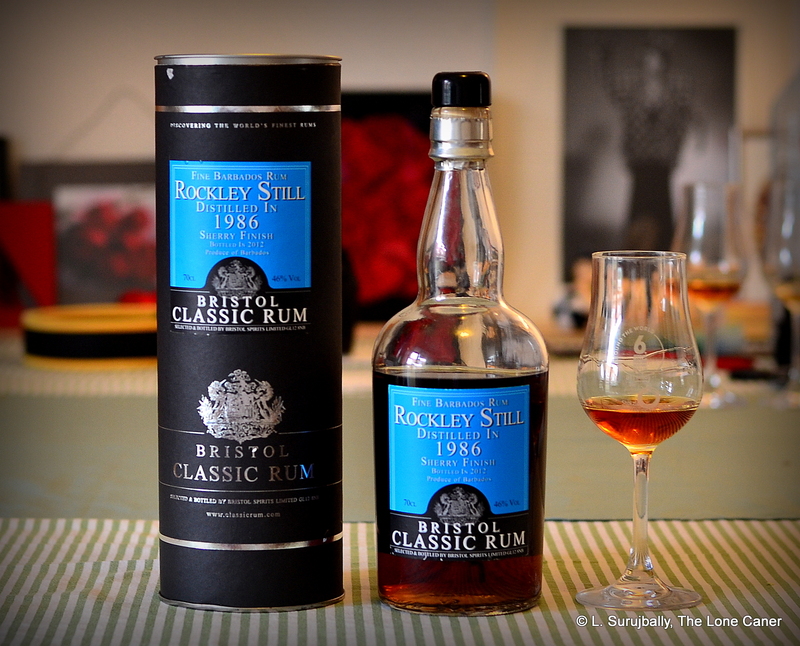 It was not clearly and distinctively a Jamaican rum, and I wondered how the distinctive profile of the island was so muted here….was it the long ageing in Europe, the original barrel, a peculiarity of the distillate, or the still itself? And as time went on I stopped worrying about it, and was drawn back into my memories of my youth in the Caribbean, the scent of burning canefields, fresh pressed cane juice on shaved ice sold by a snow-cone vendor outside Bourda, and the first taste of a local hooch in a beergarden down the coast served neat with a bowl of ice. Such things are in themselves irrelevant, but also part and parcel of what makes this rum, to me, quite special, the more so since it happens so rarely. So, yeah, I’m a drooling fanboy (was it that obvious?). But how could I not be? You have to experience the emphatic boom trapped within the otherwise standard proof to understand my enthusiasm. Muted yes; quiet yes; not as intense – of course. One cannot outrun one’s shadow and get out from under 43%. But just smell the thing, taste the thing, savour the thing — like some of the Compagnie’s rums, it makes a great case for Continental ageing. You could almost imagine some half-crazed, giggling bottler, half-in and half-out the barrel with a tiny teaspoon and clean white cloth, trying to get the very last drop out just to make sure that nothing was wasted. Given what was achieved here, assuredly none of it was. It’s just half a shot shy of great. There is no data on the originating estate. I’m guessing here, but believe it’s either a Longpond or a Monymusk, just on the taste. If anyone has more info, feel free to correct me on this one. A slightly discombobulated Enmore from the year Feynman died and Rihanna was born. I wonder if that says anything about it? 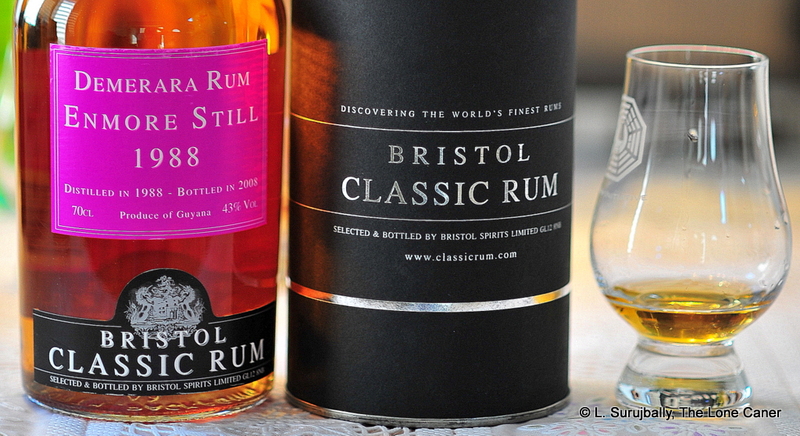 Bristol Spirits is a UK independent bottler formed in 1995, and so can no longer be considered a new kid on the block. Its label design has gone through several iterations before settling on the current wildly coloured labels that so kidnap your eyes when you spot them on the shelf, and unlike some other indie bottlers, they pretty much issue all their rums at what they consider the appropriate strength, usually between 43%-55% with outliers at 40% in existence. Like, say, Compagnie des Indes, they mostly bottle rums from all the usual and comforting locations – Barbados, Jamaica, Guyana, Cuba, Trinidad — while occasionally indulging themselves with diversions to less common places like Mauritius, Nicaragua, Peru, Haiti, Grenada and Guadeloupe. Some basic details on provenance: the Enmore continuous wooden coffey still is the only one of its kind extant, and while it is not a hundred-plus years old (the greenheart wood has been gradually replaced over the decades) it is well-used and still in operation to this day. The company notes on the rum speaks about being made from the pot still made by John Dore in 1880, but I suspect this may be in error, since these are actually two separate stills, the John Dore pot still is not made of wood (or from Enmore as far as I know), and the Enmore still is not a pot still. So let’s just assume this came from the wooden Enmore coffey still and move on before everyone falls asleep or breaks out the Rambo knife to settle the issue. Right, with all that out of the way, what have we got here? A dark hay blonde 43% spirit bottled by an always-interesting company, from a country and a still for which I have a fond regard. And, I must admit, some very strange tastes, that seriously made me check my glencairns to see if they had been washed right: because I was asking myself, did it get stored in the pantry to near the spices? The initial nose was light and warm and provided comforting smells of vanilla, raisins, licorice (the red kind) and a trace of sealing wax and turpentine…but there was also an undercurrent of garam masala, tumeric and drier indian spices coiling around in there that was as bizarre as Jessica Rabbit’s decolletage. I wasn’t complaining, mind…it just seemed out of place, and at least it didn’t derail the entire experience, being too vague to dominate the profile. Anyway once the rum settled into its paces, more familiar notes of caramel, toffee, nougat and crushed walnuts emerged, with a dry kind of sawdust mustiness pervading the thing. I can’t say it overwhelmed me, though it was pleasant enough. Palate was better, much better: more light bodied than the initial impressions above would suggest, as awkward as Tom Hanks in his new “Big” grown up body. Initially presenting an almost-hot, briny foretaste, it developed really well with muted individual detonations of raisins, vanilla, dried fruit, apples just starting to go, some more licorice, some molasses, a flirt of citrus peel and again, those odd spices creeping around like John McClane serving up a little chaos in the mix – and these aren’t complementary sweet breakfast spices but sere, aromatic, powdery, crisp-smelling piles of spices on an open table (saffron, paprika, masala, more tumeric, cardamon, cumin)…it felt like walking through an open-air spice souk in the Middle East (oh wait…). The finish was actually quite good: I hadn’t expected something so assertive from a 43% rum, but it delivered – a little sharp, more of that driness, caramel cream, brine, vanilla ice cream, cherries, licorice and some last hints, very faint, of nutmeg. Okay, so in the sense that the rum was an oddball, it diverged from a more standard and familiar profiles, and showed more potential than delivery (much like Windows 2.1 did), while retaining the power to interest and enthuse. It was not a depressing experience, nor a dour one (I was watching “Grave of the Fireflies” off and on as I made my notes, hence the comment). It was more a reminder of how a single still can produce several different variations on a theme, the way it was suggested that Old Enzo kept making the same car, just sleeker and better and faster each time. Consider: the Velier Enmore 1988 (issued at 51.9% and one year younger) was more brutal, more intense, but better behaved, with flashes of brilliance; the Renegade Enmore 1990 hewed more to a standard profile (and wasn’t an Enmore anyway, but a Versailles), Secret Treasures Enmore 1989 was firmer and darker, while the El Dorado EHP wasn’t as complex. Nobody who’s had that many varieties of a single still’s rum can ever say they were running on empty…there’s something for everyone here and you won’t feel short changed if you manage to find Bristol Spirit’s version on some dusty shelf in a back-alley shop someplace, forgotten and ignored, and you snap it up. It’s all a little bit, well, funky. There’s an element of crazy about, it, perhaps deliberately created, perhaps not, which is almost in defiant contrast to more traditional PMs. All things considered, this rum raises my ire and hurts my heart, both at the same time. In it I see all that craft makers aspire to, while somehow failing to realize both its and their own potential. As before, the Port Mourant wooden double pot still supplied the core distillate; it was aged until 2013 in oak, and like the 1999-2010, and the 1990-2007, it was left to rest in port pipes for an extra finish, at that same unadventurous 46% that just makes me shrug my shoulders. When I inquired about the Peru 8 Year Old strength, they responded, “40% suits the rum well, in our opinion,” and I think they have the same opinion here. To their own detriment, maybe. One or two rums at less than cask-strength I can accept, but when the entire range never varies between 40-46%, I have to question the logic (beyond trying to sell as many as possible to more conventional purchasers). If other independent bottlers can take their barrels out for a spin and crank them up a shade just to see where they can take their audience, I see no reason why an outfit that made the magnificent PM 1980 can’t occasionally break out of their own self-imposed corsets. Anyway, so, we had a reddish bronze rum here, nicely aged, affordably priced. On the pour some of the expected notes came out immediately: what made me retreat a metaphorical step was its unexpected aggressiveness. The thing lunged out of the glass with an attitude, was sharp and unlike its other brothers (and other PMs I’ve been fortunate enough to try)…it did not display heavy, brooding notes of enchanted forests, but instead the harsh spearing glares of desert sunlight. Initial notes of dusty hay, chopped fruits, some mangoes and papayas were there, gone very fast, a little smoke, some tannins from the oak. Leaving the rum to open some more brought out secondary scents of anise, smoke, leather, some dark chocolate, green grapes, and it was all nowhere near as deeply luscious as the 1990…no idea why. There was a shimmering clarity to the rum which was intriguing, yet not entirely appealing. The mix of light and heavy components wasn’t working for me. The taste moved on from there…not nearly as full bodied as the other PMs in my experience, at all. More of that light sharpness, a rapier compared to the more elemental battleaxes of even the 1990 variation. Some of the richness of the others (even made by Bristol themselves) was missing here, and I really was not that impressed with the result. Tastes were decent, can’t complain too much about that – there were raisins, black grapes, prunes, figs and some dark chocolate to contend with, all interlaced with some sharp bitterness of oak which thankfully was not predominant. With water, the chocolate started to assert some biceps, as did a slightly drier element, plus fresh brewed black tea and vanilla, and even a flirt of feintiness and some other more winey notes from the port finish. I seem to remember reading somewhere that a smidgen of sugar had been added to this rum, but I didn’t really sense any – if true, it couldn’t have been much. On the fade it was dry and spicy, with some crushed walnuts, anise, more fruit and a sly background of molasses and brown sugar: that and the nose were the two best parts of the rum, for me. My dissatisfaction with this rum stems from what appears to be two differing characteristics marrying uneasily – the dour, anise-led, brown-sugar profile of a PM, and something lighter and sharper, younger, friskier. It’s like an old fart in his Bentley trying to make nice with a coed driving a 370Z. So, is it, or will it be, a successful commercial rum? I think so. It suggests an ironic future for Bristol – they bring a well known, well-loved distillate to the stage, age it decently, make it reasonably, price it well, issue it at an agreeable strength, and I’m sure if it hasn’t already flown off the shelves, it will – and yet, this very success might prevent them from making any more of those genuinely fantastic PM-1980-style rums of which I am convinced they are capable. What a shame. For a much more positive review of the 1999, read Marco’s take, with all his usual and remarkable historical detail, here. There is another 1999 bottled in 2010 and yet another bottled in 2014 (the latter without the port finish). Bristol Spirits is that independent bottler out of the UK which started life in 1993. Their barrel selection from the various countries around the Caribbean has created an enviable track record of limited bottlings; I’ll always have good memories of the PM 1980, and the subsequent editions of the 1990 and 1999 were rums I’ve been keeping an eye out for on the basis of that positive experience. All of these were made, of course, using the Port Mourant distillate – in this particular instance they didn’t just age it between 1990 and 2007, but allowed it rest for the final two years in matured port pipes for an extra fillip of flavor. It sort of succeeded, it’s a great rum by any standard, and of course, they did continue their happy tradition of a funky, screaming fire-engine-red label slapped on to a standard barroom bottle. I just can’t pass these things by, honestly. 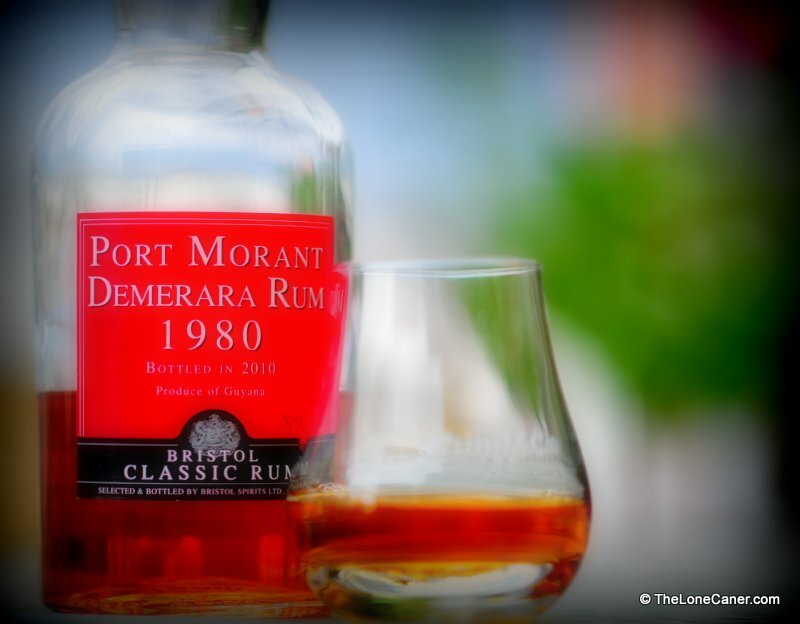 The PM 1990, a dark amber rum with ruby hints to it, derived from the famed wooden PM double pot still now held in DDL’s facilities at Diamond. It poured, sulky and heavy into the glass, and while it was tamed to a very accessible 46% (which is sort of de rigeur for many of the UK craft makers who seem determined not to lose a single sale by I dunno, issuing good rum at cask strength), the initial scents were impressive from the get-go. Wood, sweat, sap, brine, oak and smoke permeated the nose at once in thick waves. These are not always my favourite smells, but I used to say the same thing about plasticine and turpentine, so what do I know? It’s the way they come together and enhance the experience, that matters, anyway. And indeed, things mellowed out after some minutes, and the good stuff came dancing forward – raisins, Christmas cake, soy sauce, molasses, licorice and burnt sugar, all wrapped up in salty caramel and toffee, citrus rind (very faint) and chamomile (even fainter). Just a phenomenally rich nose, generous with promise. It delivered on that promise very nicely, thank you very much. Warm and strong, some sweetness came forward here, with initial tastes of salt caramel, dulce de leche ice cream, and dark tea leaves. Quite full bodied to taste, no issues there for me at all – this thing was giving the PM 1980 some serious competition at a lesser price. The more familiar tastes of licorice, molasses-soaked brown sugar and musty leather came through, and after adding some water (didn’t really need to, but what the hell) the full cornucopia of everything that came before mushroomed on the tongue. Flowers, orange rind, licorice, smoke and some tannins, together with old polished leather and linseed oil, all full and delicious and not at all over-spicy and sharp. It’s fine rum, very fine indeed. The fade was shortish, not dry, quote smooth and added no new notes of consequences, but simply summarized all the preceding, exiting warmly and easily with caramel and toffee, anise, and then it was all gone and I was hastening to refill my glass. Here I usually end with a philosophical statement, observations that come to mind, anything that can wrap things up in a neat bow. But truth to tell, in this case I don’t think I need to. 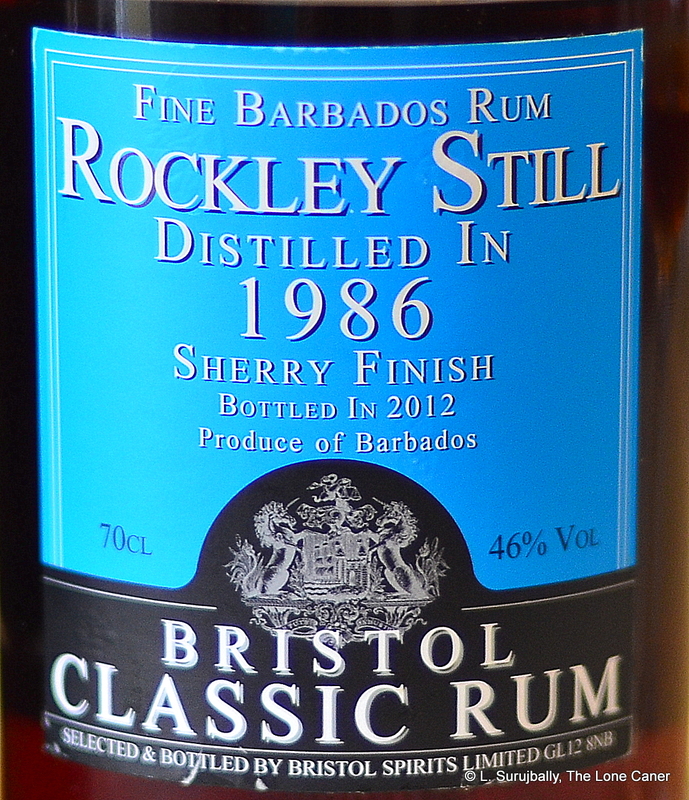 Bristol Spirits have simply made a very good rum for the price (about a hundred bucks) and age (seventeen years). As such, it will be more accessible, more available and probably more appreciated than fiercely elemental, higher-proofed offerings costing much more. So in terms of value for money, this is one of those rums that I would recommend to anyone who wants to dip his or her toe into the realm of stronger, more complex, and also more focused high-end spirits. 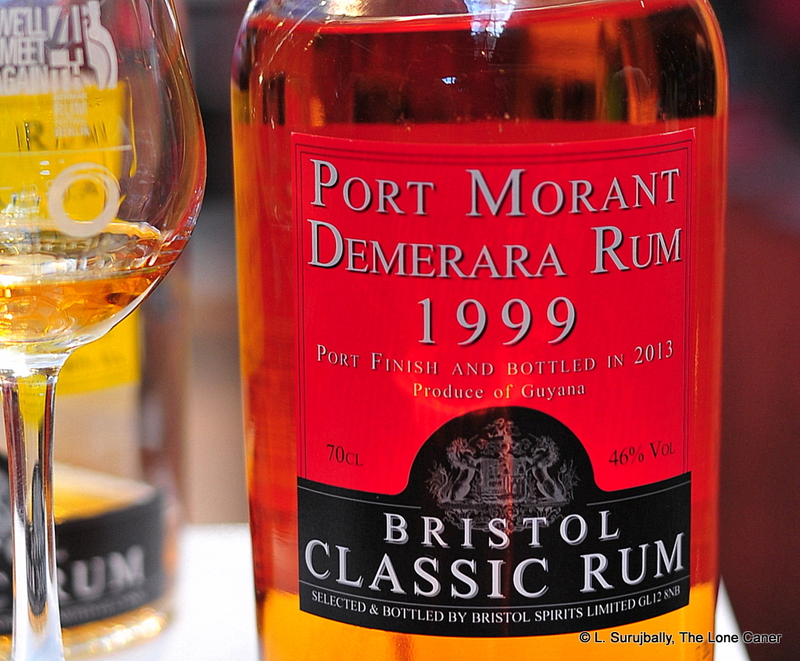 As long as your tastes run into dark and flavorful Guyanese rums, this one won’t disappoint. Another, slightly lesser brother from the same mother. It stands in the shadow of the company’s magnificent 34 Year Old. It’s possible that Bristol Spirits decided to play it safe (again) with the 43% expression from the closed Caroni Distillery of Trinidad…y’know, give it a wider audience than the drop-down-dead-of-old-age 34 year old 1974 variation which would dig a deep hole in both your wallet and your marriage. Or maybe that’s how the barrel played out when it came time to bottle the liquor (notice that 2008 was the same year they produced the 1974, so both were issued simultaneously). It’s good, but in my own opinion, could have been a shade better — their contention that they’re happy with the strength at which they issue their rums always struck me as taking the road more commonly travelled instead of breaking out to chart their own path. Which is not to say that anyone buying the 19 year old will be disappointed. Even the appearance is quietly dramatic and eye catching, and adheres to Bristol’s standards: a psychedelic orange label on a barroom bottle with a plastic tipped cork, all housed in a cool black torpedo tube lettered in silver. I love Velier’s minimalism, but must concede I have a soft spot for Bristol as well. Anyway, the rum itself: column-still produced, it was a dark golden brown liquid in the glass, displaying slow, chubby legs draining away down the sides. At 43% it was mellow to smell, dense and almost heavy with dark cherries, hibiscus blooms, licorice and a touch of brown sugar and molasses. Yet at the same time it was also quite clean on the nose, warm, without any overweening alcohol sharpness that would have debased the rather luscious aroma. 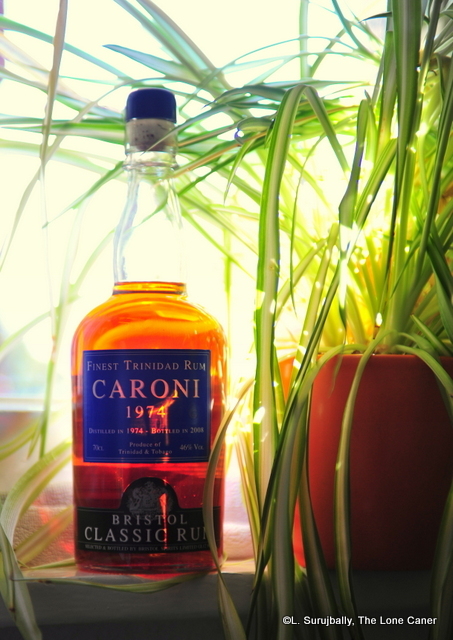 To taste, the Caroni 1989 would not be described as “heavy,” as opposed to a full-proofed Demerara hailing from a wooden still, or a massively aged Jamaica rum flinging dunder and funk in all directions, both of which really could be. It was, in point of fact, a curious and delicious melange of textures that accurately navigated to being a medium bodied rum without actually being a pussyfooted one-hit-wonder. A column still distillate produced this? Wow. Rich — but not overwhelming — notes of anise, fleshy fruit on the edge of ripeness, brown sugar, licorice, some molasses started things going, and after opening up you could tell the shared DNA of the 1974 (which I was tasting side by side): it was a less aggressive, easier version of that growling geriatric Trini. There were faint tastes of black olives, smoke, tannins and smoke, mixed in with road tar (this actually sounds worse than it is, trust me). I could not detect any of that salt and nuttiness that I remarked on the 1974 and it was a very pleasant drinking experience all ‘round…until the end. I’m going to spare a word about what to me was a disappointing finish for something so aged. It was lacklustre in a way that was surprising after the quality of what had come before, and which diminished the positive impact of the preceding nose and palate. This is where the 43% works against the rum and lessens the overall experience I’m afraid (some may disagree). Sure it was clean and warm, even a shade dry, on the exit, with caramel and vanilla and smoky notes to finish things off…but it displayed a too-short attitude of good-enough “git-’er-dun” that offended me in a vague way. So yeah, the 43% does make a difference (just as 35% or 55% would). I’m sort of conflicted on this Caroni. I certainly liked it enough: it’s a rambunctious, delicious rum with a great profile and sleek, supple tastes to it — but which chokes a little on the back end. The question is – as it must be – whether it’s as good as the 34 year old expression, or just different. It’s probably leaning more to the latter. At the end, while it’s not quite as remarkable as its sibling, if you’re on a budget and want a Caroni, this one is an absolutely decent buy (I paid €130 for it), and you won’t feel short-changed if you spring for the thing, my whinging on the finish aside. 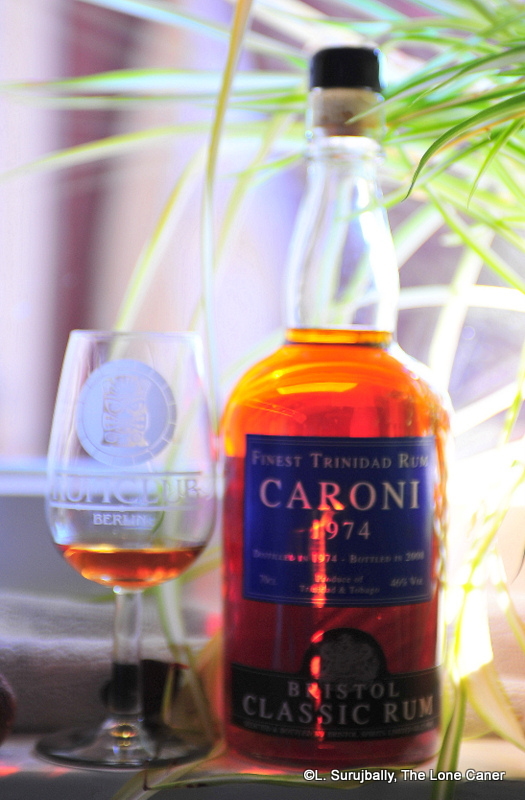 Because it’s a Caroni and because I wanted to give the distillery some exposure, I bought it (and four or five others from various makers)…yet personally, I’d prefer to wait and save for something a bit more mature, something…well, beefier. Like the 1974. Even at 46%, that one at least had some of the courage of its convictions. 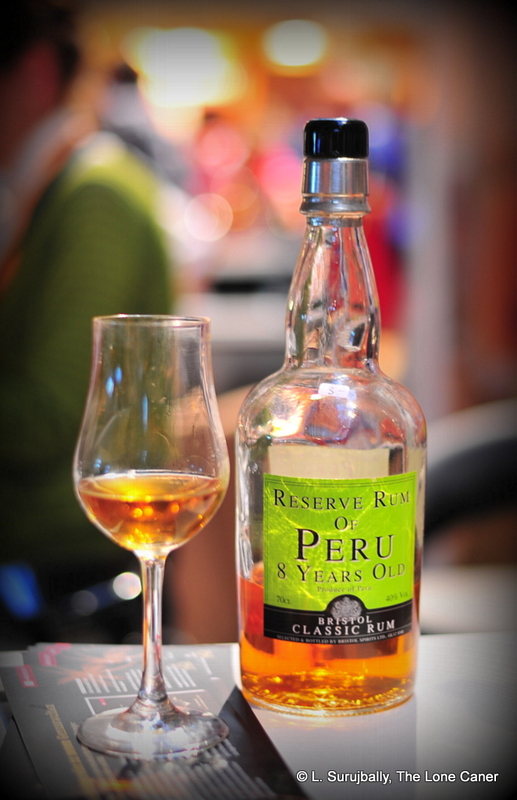 A clean, warm and smooth rum from Peru, which is extremely accessible to anyone who doesn’t like cask strength rums. Into the shadowed world of dronish and often-boring label design, the screaming green of the Peruano stands out like a neon tarantula on a wedding cake. It’s an assault on the visual cortex that can’t help but make you catch your breath, mutter an amused “wtf?” and move in for a closer look. Not that this has anything to do with the quality of the rum inside, of course. I merely bring up the point to remark on the fact that originality in any form is a vanishing breed in the rum world and we should be grateful for such small winks from the craft makers even if it’s only a marketing plug. Bristol Spirits is an independent bottler out of the UK which started life in 1993, and is therefore something of a recent entrant to the field (Cadenhead, by contrast, has been around for over a hundred and fifty years). Their barrel selection from the various countries around the Caribbean has created an enviable track record of limited bottlings; I’ll always have good memories of the Port Mourant 1980, and the 1970s era editions remain on my must-have list. They don’t seem to hew to any particular ageing philosophy – some of their older bottlings were aged in the UK, while others, like this one, were kept in situ. Anyway, the obligatory opening remarks out of the way, what have we got here? 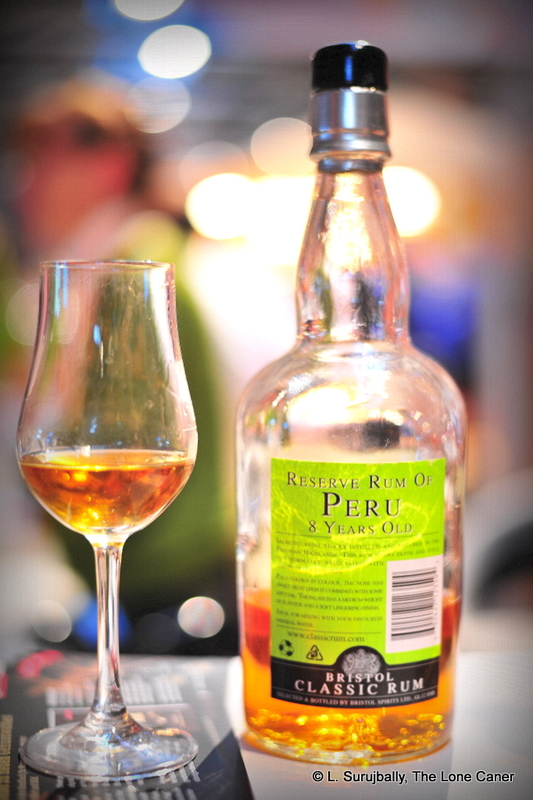 An eight year old, molasses-based, column-still rum from Peru, made from the blend of eight barrels (distillery not mentioned) which were then aged at altitude in used bourbon casks before being shipped to Europe. And bottled at what for an independent bottler, seems a rather low-strength 40% (with some exceptions, they make most of their rums at 43-46%)…however, they noted in an email to me that they were quite happy with that proof. Nosing the blonde spirit gave some clues as to why the decision may have been made in this instance: it was soft, clean…almost delicate. No pot still could have created something this light and unaggressive (my opinion). Initial smooth scents of hay and vegetal flavours gave way to more luscious soft fruit – peaches, ripe dark cherries, even a touch of mocha, but all very restrained, even shy. It was a rum that if you really wanted to dissect it, you really had to put some effort in. As I poured it out and sampled it for the first time, I wondered what Bristol was trying to do here – make a competitor to Rum Nation’s Millonario 15, maybe? It shared many of the characteristics of that product: light to medium body, slightly sweet, immediately redolent of white guavas, flowers and a smooth cream cheese. But then it went its own way, and I noted a slight sharp whiff of bitterness emerging, bright and clear like the inlay on a ginsu knife. It was at odds with the easy-going nature of what had come before, while not entirely detracting from it – it provided, in fact, a kind of pleasing counterpoint, because the balance of the competing elements was pretty good. Adding water opened up more fruits, vanilla, some oak influence and a whiff of dry tobacco. For a standard strength rum it also exited well, though this was short, shy, bright, a little sharp, as if a can of peaches in syrup had been sprinkled with some cinnamon and lemon juice. Independent bottlers tend to be more associated with cask strength behemoths than such laid-back fare, so I was not entirely sure what Bristol’s intentions were, with this Peruvian eight year old. Their recent foray into spiced rum territory makes me worry that perhaps they are abandoning their craft-bottler, limited-edition ethic that produced such incandescent gems as the PM 1980, and now they are swinging for easier sales by diluting down to 40% (they didn’t specifically address that point in they communique to me, and I had not asked). On the other hand, the rum is gentle, even elegant (I had similar feelings about the Juan Santos 21 year old), and so perhaps this was something that had to be done lest additional proofage obliterate the subtler harmonies of what I detected. Be that as it may, for anyone who likes standard strength rums without too much intensity or in-yer-face attitude, this is a good one. I’d be surprised if more editions from Peru don’t follow this one out the door, in the years to come. Because even with its limited outturn, I think a lot of people will enjoy it, and it leaves us all with another colourful tile in the worldwide mosaic of rum…if the label didn’t already provide that, of course. Based solely on the profile, I suspect this hails from the same distillery as the Millonario 15 and XO (Rum Nation never identified it); which implies it was from the Cartavio boys in Trujillo. 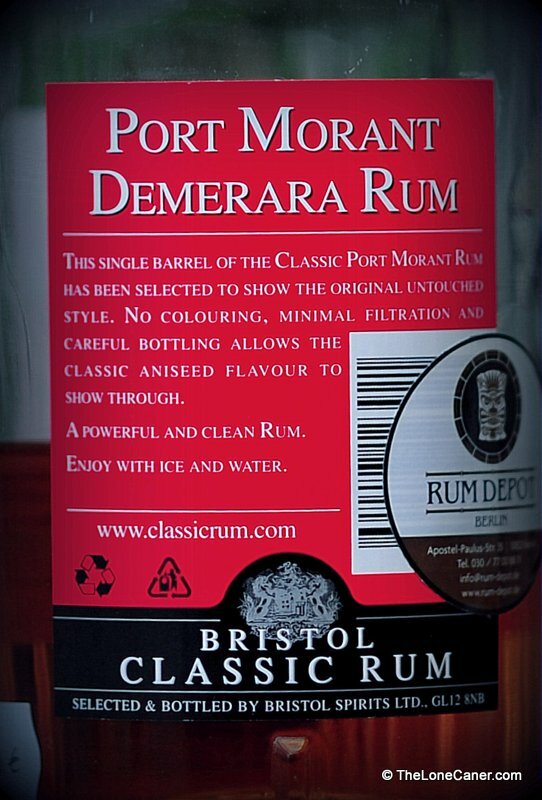 On the other hand those rums are soleras and this one is not, and Trujillo is at sea level on the coast while Bristol noted the ageing took place at altitude: so the question remains open. For the record, Bristol declined to provide the distillery name or the number of bottles issued, but Fabio Rossi via Henrik from Denmark (see comments below) did acknowledge the source. Marco on Barrel Aged Thoughts has a company profile and product listing for Bristol Spirits (in German), for those who are interested in other aspects of the company. 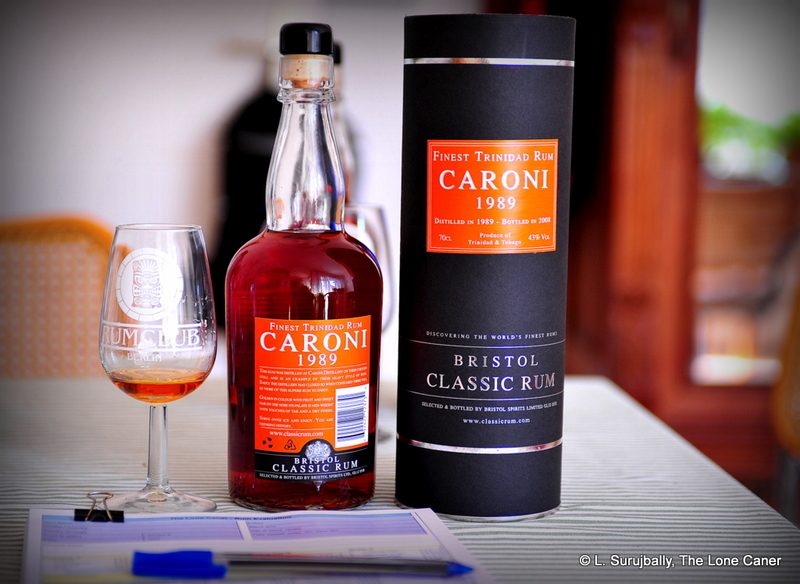 This is the first review in a set of about six which deals with Caroni rums. I’m unabashedly starting with the oldest, which is a top-notch rum with few disappointments and flashes of greatness underpinning a rock solid performance. 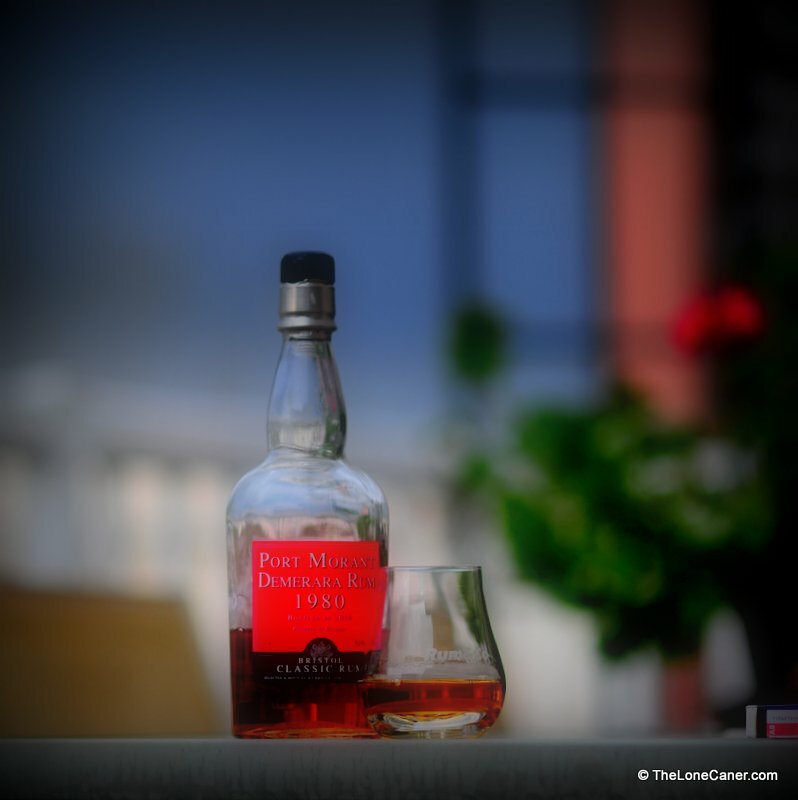 Even before heading to Europe in October 2014, I resolved to sample what I could from the now-defunct Caroni distillery in Trinidad which regrettably closed in 2002. Part of this is simply curiosity, mixed with a collector’s avarice…but also the high opinion I formed years ago when I tried the A.D. Rattray 1997 edition, and was an instant convert. Alas, in these hard times, the only place one can get a Caroni is from boutique bottlers, most of whom are in Europe…and that’ll cost you. I can’t actually remember a single example of the line I ever saw in Calgary, aside from the aforementioned ADR. Bristol Spirits is one of the craft makers whose products are usually worth a try — remember the awesome PM 1980 that even the Maltmonster liked, much to his everlasting embarrassment? They have a series spanning many islands and lands, and so who can blame me for buying not only an impressively aged rum, but one from a distillery whose auctioned-off stocks diminish with each passing year. It must be said I enjoy – no other words suffices – the labelling of Bristol Spirits’ beefy barroom bottles. That cheerfully psychedelic colour scheme they use is just too funky for words (as an example, note the fire engine red of the PM 1980). This rum may be one of the oldest Caronis remaining in the world still available for sale, joining Velier’s similarly aged full proof version from the same year. And as with that company’s products, Bristol maintains that it was entirely aged in the tropics. It was a mahogany rum, shot with hints of red, quite attractive in a glass. 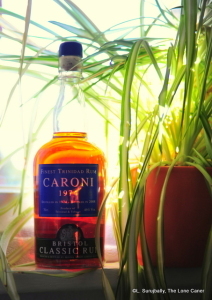 In crude terms of overall profile, Bajans can be said to have their bananas, Guyanese licorice and dried fruit, Jamaicans citrus peel; and Caronis too are noted for a subtly defining characteristic in their rums: tar. This was apparent right upon opening the bottle (plastic tipped cork on a two hundred euro purchase…oh well) – it wasn’t just some unripe guavas, tobacco and softer floral aromas, but an accompanying undertone of said tar that was a (fortunately unobtrusive) mixture of brown cigarette residue and the way a road smells in really hot weather after having been freshly done with hot top by the road crew. After opening up for several minutes, while this core remained (and it was far from unpleasant, really), it was replaced by an overarching toffee and nougat background. A very pleasant nose, with not enough wood influence to mar it. On the plate, superb. Smooth and pleasant, some spiciness there, mostly warm and inviting – it didn’t try to ignite your tonsils. BS issued this at a we’re-more-reasonable-than-Velier strength of 46% which seems to be a happy medium for the Scots when making rum – but strong enough, and quite a bit darker and more intense than the Bristol Spirits 1989 version I had on hand. Salty, tarry, licorice and burnt sugar. Black olives. More tar – yeah, a lot more like hottop, but not intrusive at all. About as thick as some of the Port Mourants and Enmores I’ve tried recently. As with other Caroni rums I sampled in tandem that day, while a lot more seemed to happen on the nose, it was actually the overall taste and mouthfeel that carried the show. After the initial tastes moved on, I added some water and made notes on caramel and crackers, dried raisins, and a little nuttiness I’d have liked more of. Perhaps a little unexceptional exit, after the good stuff that preceded it: it took its time, giving back more of that caramel and nutty aftertaste I enjoyed. Honestly, overall? – a lovely sipping experience. Every now and then, I run across a rum that for its maker, its age, its provenance, and my feeling (or hope) for its quality, I just gotta have, sometimes beyond all reason. The first was the English Harbour 1981 25 year old. The near legendary Skeldon 1973 comes to mind, and the G&M Longpond 58 year old was another. This one, from 1974 and with only 1500 bottles made, from a distillery I remembered with appreciation? Oh yeah. (“I’m just off to the online store, honey…”) And I’m glad I shut my eyes and dived right in…because even costing what it does, even rare as it is, this rum has the kind of profile that pushes a man to be better than he was born being, just so he can deserve to drink it. The PM 30 year old by Bristol Spirits is to El Dorados as fish wasabi is to a green salad. Both are nutritious, both are tasty, both are good to have…but only one is a work of art. This one. This is what happens when a rum maker throws caution to the winds, takes a standard table tipple, ages it to within a whisker of falling down dead of old age, and then torques it up to a grin-inducing, tonsil-tickling 51%. You get a rum that’s redolent of bat-bleep-hydrophobia. If this was a photo of a sports car, you’d better believe it would be on every rum drinker’s wall in a framed place of honour. About the only other rum like it I’ve tried in recent memory is the Berry Bros & Rudd Reserve Demerara 1975, which may also be thirty years old, and is also from the same still. Bristol Spirits, producers of craft spirits from single barrels aged beyond all reason, have done something quite wonderful here. Somehow, they have muted the seemingly inevitable bite and bitterness of oaken tannins usually imparted by such a long slumber in the barrels, and produced a thirty year old ambrosia that takes its place among the very best of full-proofed rums ever made. And given that even the Maltmonster gave it his grudging seal of approval (he may have been making nice to me because he drank it at my house, though I prefer to think otherwise), you can understand something of the rum’s quality. 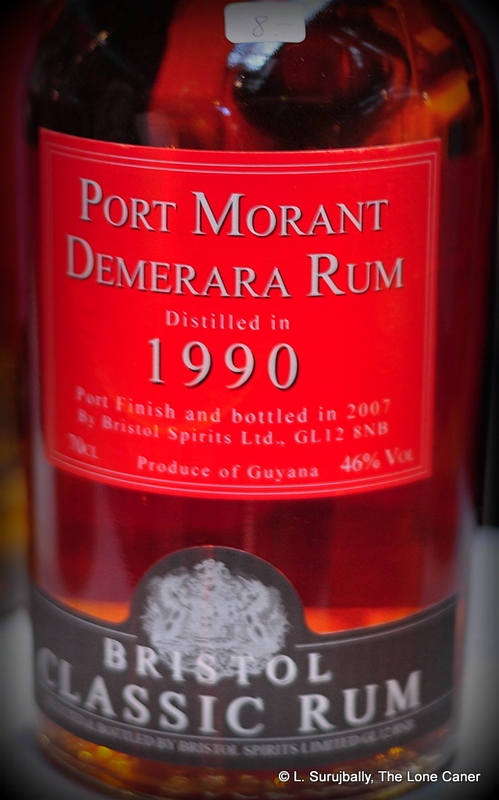 Port Mourant is a plantation in Guyana that has been around since 1732 and is actually closer to the Berbice River than to the Demerara (the “Demerara” moniker is more a designation of rum-style than geography). Theirs was a double wooden pot still, which is now housed at Diamond, and which imparts remarkable depth of flavour to the rums originating from it. Doubt me? Pour a glass and observe: when I did so, 51% of alcoholic fumes enveloped me in an extraordinary luscious and deep nose. When you read the following words you’ll wonder if I wasn’t slightly off my gourd, and you may disagree, but I absolutely adored the scents of wax crayons, honey, red cherries, freshly sawn lumber (cedar) and anise (that was the awesome part)…though only after the overproof scents of smoke and plasticine and petrol dissipated (that’s the crazy part). Perhaps it was the sheer depth and originality of it, the thickness and strength of it that so appealed to me. And the taste, the body…wow. This was like kissing the cheerleader in the noontime of your youth when all things were possible and nothing was beyond you. Unbelievably smooth for a 51% drink, heated and spicy, intense and dark, and richly aromatic to a fault. Fleshy fruit notes of apricots, pineapples and firm yellow mangos, and if I had a single beef about it is that the central pillars of molasses and licorice and anise took a commanding stance throughout that often obscured the subtler tastes that might have made this score even higher. I accept that massively aged full-proofs tend to have that paint, candle wax and turpentine (even kero) aspects to their palates, and I don’t always care for that: here at least such notes didn’t spring at me like a starving cheetah on steroids, but they were there, and it would be remiss of me not to point it out. I was okay with it…you may not be. Let me just suggest that if you don’t mind going off the standard taste-train a bit and are akin to Islay maltsters who sing Gaelic paeans at midnight to the pleasures of Octomore’s massive peatiness, you’ll understand where I’m going with this. The finish of this all-round impressive rum was long and deep, stayed with me for a long while. It left me with fond reminiscences of smoke, well-oiled soft leather, linseed oil (of the sort you cure your cricket bat with), anise and molasses, and took its own sweet time saying adieu. Here was a rum just made for sipping on a cold night in winter. It warmed it tantalized, it gave back, and in all respects reminded me of what it was I look for in high end, full-proof, aged rums. Strength, depth, intensity, complexity, originality. The PM 1980 had them all. I believe we are born with our minds open to wonderful experiences, and only slowly learn or are forced into limiting ourselves to narrower and more circumscribed tastes. Our natural curiosity is deadened by incessantly streaming informercials and mass-marketing, which attempt to convince us that sales equates to quality, and which discourage exploration of unique and off-the-rails products that exist solely in their own universe (I could say the same things about either books or movies, by the way – the issue is not relegated to merely spirits). And so, products as great as the PM 1980, are often unknown, little spoken about, and have vanishingly small sales. Mind you, this wonderful thirty year old not the best rum in the world. Of course not. 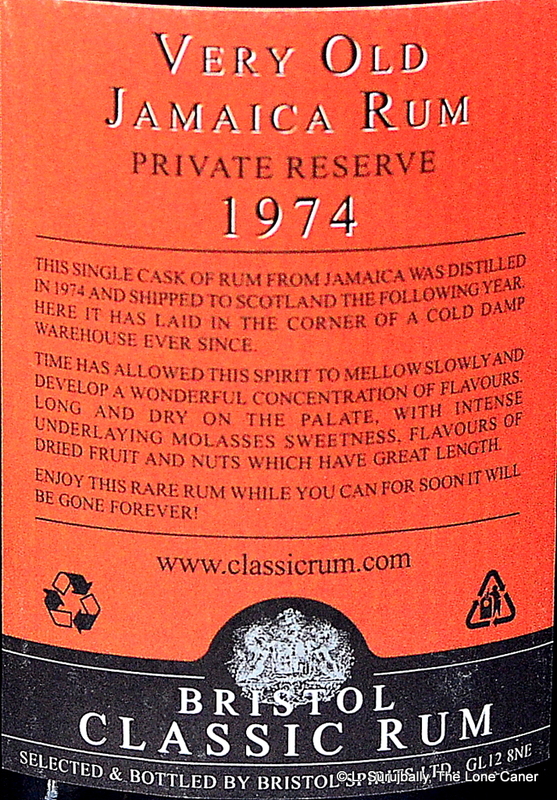 No rum ever will be, irrespective of its Jovian altitude, not least because of variations in individual taste. But, y’know it’s close. And it’s as close as we might ever get, now that consolidation of rum production is the name of the game, now that bland and easy-going appeal-to-the-masses is the way to get sales and overtake Bacardi. We may be at the end of a kind of Golden Age of rum production, where distilleries made mad concoctions just ’cause they could; and these days, it’s unlikely that a major company will have the huevos to green-light the investment in time and money, to wait this long, to develop something this exclusive, ever again (Appleton’s fifty year old may be the exception that proves the rule). Maybe that’s all the justification I really need, to shell out this much cash for something this transient….and this good.